Due to our vast experience (30 years) in all fields electrical and mechanical, we proud ourselves in providing you with an one-stop solution. Cable fault locating and repairs (jointing) of all types of underground and overhead cables. You can control your pump or pivot or any other electrical application to stop / start and report to your cell phone. 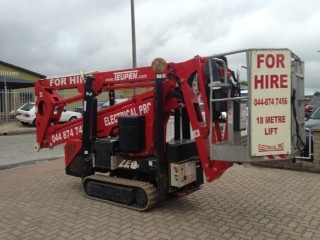 Can also provide early warnings on power failures or cable theft. 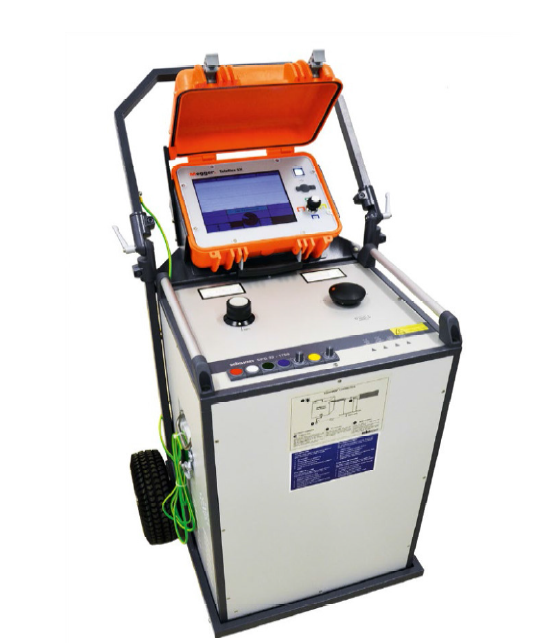 Our portable network analyser can record and download your electrical energy parameters (Volts, Amps, kVAR, kVA, kWH, power factor) up to a 1000 amps. We can then analyse this information to see if we can save you costs on your electrical bill. We supply, repair and install electric gate motors complete with intercoms, safety beams and cell phone gate openers. We supply and install all sizes of generators complete with manual or automatic change over panels (A.M.F). We also supply PTO driven alternators as well as separate alternators. 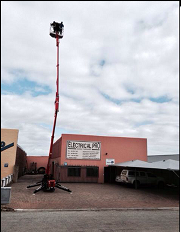 We have a crane truck for hire with a 5 ton capacity and ± 13m reach and a Cherry picker with up to 18m reach. We supply, install and repair all types of lighting, i.e. domestic, industrial, security as well as high mast lights. 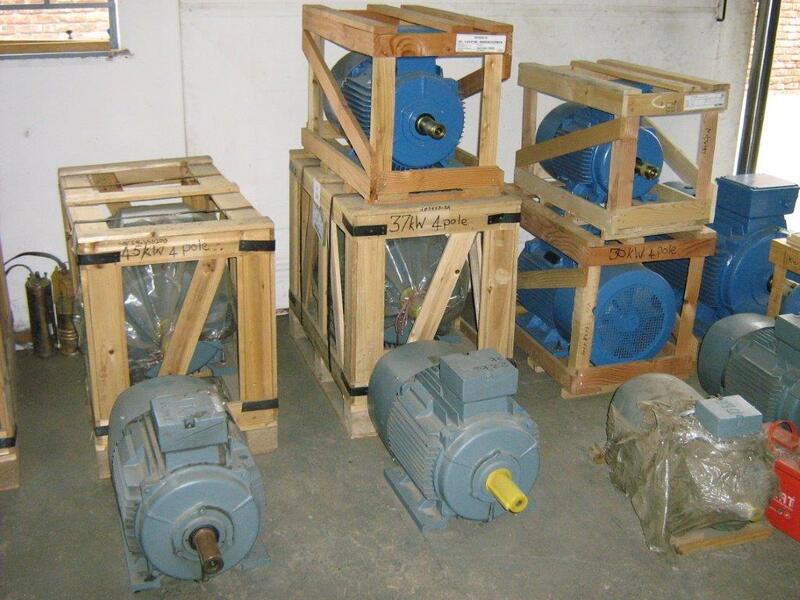 We supply and and install all types of electric motors and gearboxes. We also recondition all type of gearboxes, some with electric brakes. We are suppliers of both 380V and 220V. We supply all types of voltages. 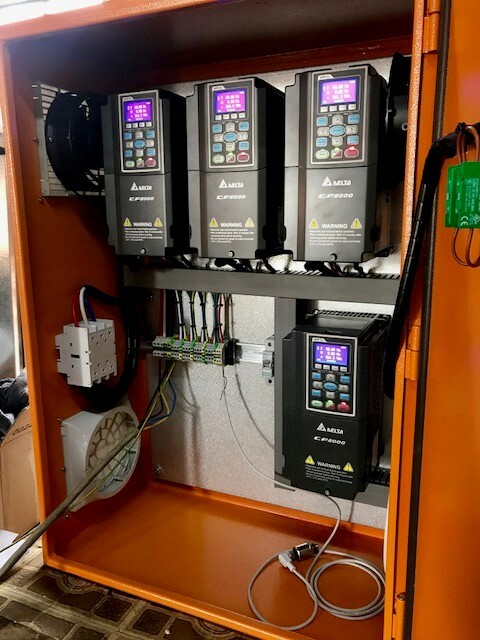 We supply and install all kinds of heating elements including ostrich heaters /incubator panels as well as temperature controllers and humidity sensors. Electrical repairs to all types of pivots. 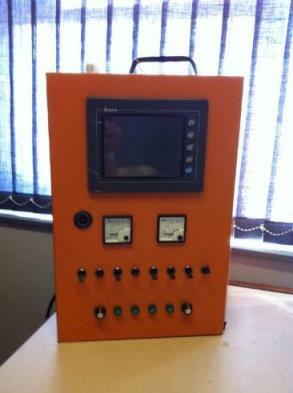 We supply and install wall mounted and floor standing power factor automatic systems. With this we can reduce your maximum demand cost (power saving). 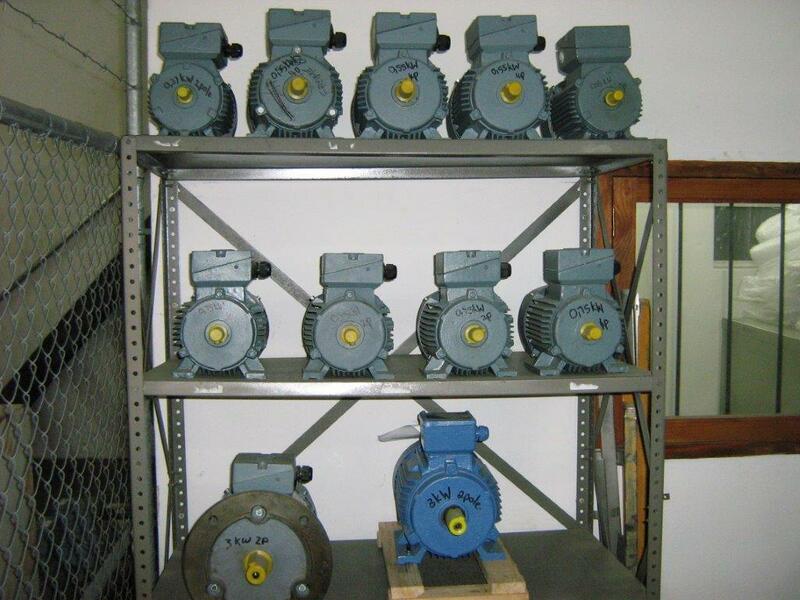 We supply, install and repair various types of pumps: pressure pumps, borehole pumps, submersible and irrigation pumps. 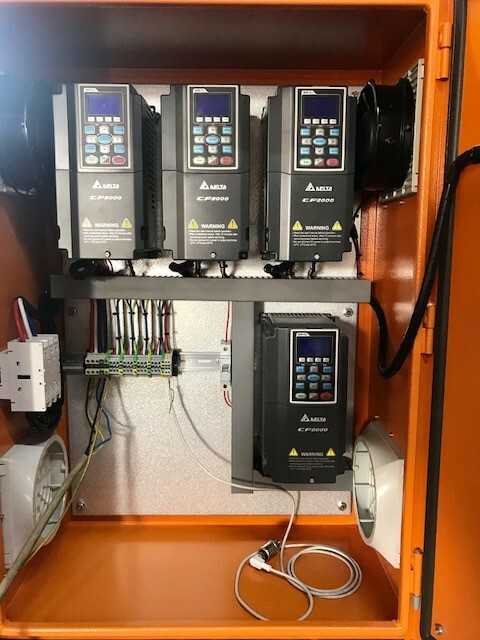 The camera takes photos of distribution boards, machinery or electrical installation and can point out the hot spots by our qualified electricians. We supply and install any type of low and medium voltage equipment. 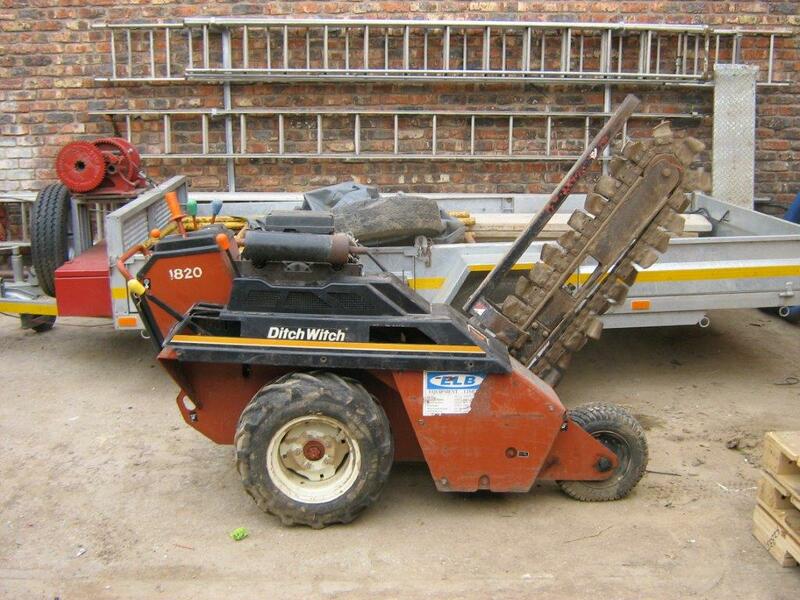 We have diggers (Ditch Witches) that can excavate up to 1m deep and 100 to 200mm wide – ideal for flat surfaces and grass. Supply and installation of all types & sizes. Supply and install of all types of cables underground or overhead. We are registered electrical contractors with the Department of Labour as well as the Electrical Contractors Association (ECA) with qualified electricians for all your industrial, agricultural and domestic electrical work. Due to our vast experience (30 years) in all fields electrical, mechanical and hydraulics, we proud ourselves in providing you with an one-stop solution.